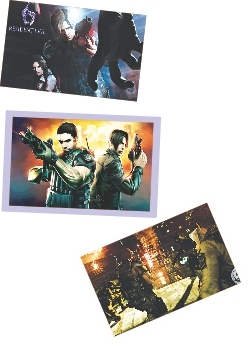 Capcom has been making Resident Evil games almost as long as I've been alive. And I'm kind of old. Resident Evil is definitely up there in the list of great video game franchises, and RE4 was a masterclass in zombie survival horror. The same can't ever really be replicated, which we've come to accept after the abomination of RE5. And RE6 lives up to THAT expectation, if nothing else. The first thing that needs to be said is how unhealthily obsessed RE6 is with delivering a “cinematic” experience to the gamer. Of course, this means heavily-blown-out-of-proportion sequences and so many quicktime cinematic sequences that at one point I was doing them while on the phone and not even looking at the screen. The worst, the absolutely, despicably worst thing about this game though, is how the developers have completely and utterly abandoned the Resident Evil legacy. In the old RE games, you'd be crawling through dark rooms, clenching your bottoms making sure you don't soil yourself in terror. Instead this game has gone into guns-blazin' action and there is an insane amount of it. At the end of the first campaign (there's three, and I'll get to that in a bit), I had fought a tumourous monstrosity in a church, jumped off a skyscraper, fought on top of a train, piloted a helicopter, blown up a pig with a shotgun and wrestled a humongous zombie shark. Yes. A giant, zombified fish. Which I had to shoot in the tongue. One of the positives in the game is the narrative. Or in fact, its three different narratives melded into one grander story with different crossover points. And there's a secret unlockable fourth campaign if the internet isn't lying to me. There are three campaigns, and six different playable characters, each with their own set of skills. Leon Kennedy returns from RE4, along with Chris, the stereotypical Marine. Joining them is Jake AKA White Rapper Dude. Leon's campaign slightly holds on to the atmospheric, eerie feel of the old games, but the other two are basically following the Call of Duty formula of move, shoot, kill some baddies, big set piece, and repeat. The guns do feel good though. It's also fun to just go and beat up some zombies with your fists and feet while every hit makes your controller purr. But what's wrong with it is that not only is the old survival aspect of the game awkward, if not absent, it's that the CoD action bit is also awkward. It just never feels right, and it seems like Capcom is trying to cater to too many audiences at once. Co-op really saves the game though. My friend and I actually sat and played this continuously for 4 hours without feeling bored. It's not a scary game, and that's disappointing but where it misses out on scary, it makes up for with grotesque. Hideous enemies will flood towards you throughout the game and some are truly, very disturbingly gross. The type of gross that only the Japanese are capable of. 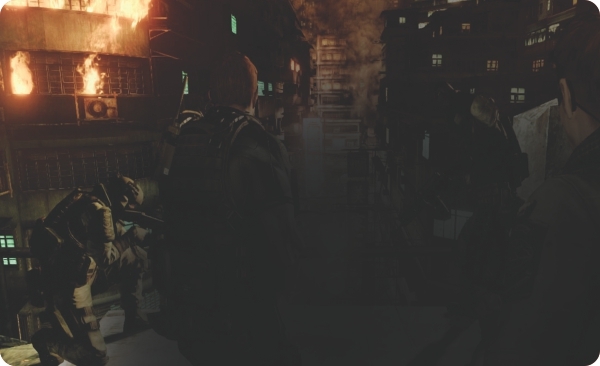 RE6 almost feels as if it was designed for Co-op play and not single player mode. But for all the friendless sad people, don't worry. In single player, the AI is actually pretty decent. Much, much better than the last game. Although RE5 was so bad, you couldn't really do worse if you tried. Re6 is an ok game. It's fun with a buddy. It's not scary. If you can look past its betrayal of its predecessors, then you might end up liking this game. If not, well, you'll be disappointed. 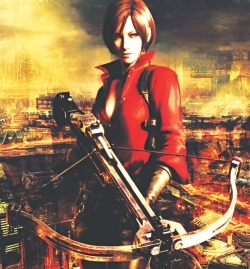 And just to end this review, I'll quote Evan Narcisse of Kotaku.com: “Resident Evil 6 is proof that a video game can be morbidly obese”. Bugatti Veyron Super Sport is still the undisputed fastest production car in the world. It has been tested and verified at 268 miles per hour. It runs from 0 – 60 in 2.2 seconds. The Bugatti Veyron Super Sport uses an 8.0-liter quad turbocharged (yes, four turbochargers) 16-cylinder engine producing 1,200 horsepower and 1,106 ft-lbs of torque. Its tires are designed specifically for the Bugatti, and replacements cost $36,000 for a set. The brakes are made of reinforced silicon carbide composite. A seven-speed dual-clutch transmission routes the engine's output to all four wheels. Although the Bugatti Veyron lost the title to SSC Ultimate Aero on March 2007, Bugatti challenged the record in Germany on July 10, 2010 with the new 2010 Super Sport Version and the Veyron once again claims the title of the fastest car in the world at 268 mph. 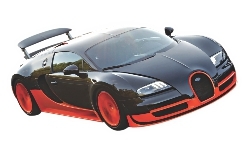 The original Bugatti Veyron has a top speed of 253 mph, is priced at $1,700,000 and is equipped with 1001 hp. 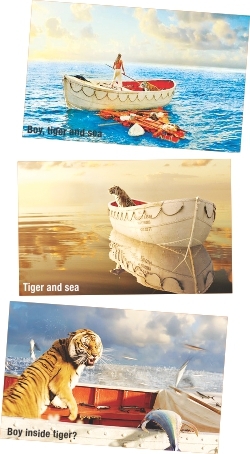 Life of Pi is the story of a young boy named Piscine Molitor Patel (Pi), son of a zoo owner in India, who is the sole survivor of a massive shipwreck and gets stranded in the Pacific Ocean on a lifeboat with a tiger. At the beginning of the film, we meet Pi, both as an adult telling his story to a writer (Rafe Spall) in Canada and, in flashbacks, as a peculiar child growing up preaching three religions in his father's zoo in India. When Pi is 16, he and his family leave India on a cargo ship heading for Canada, taking all their zoo animals with them. In the middle of this journey, a storm destroys the ship and Pi (Suraj Sharma), a zebra, a hyena, an orangutan and a Royal Bengal Tiger are the only ones who survive. When I first read Yann Martel's wildly popular 'Life of Pi', I wished there would be a movie made out of it. That is, until I realised how impossible it would be to bring something like that to film. A movie consisting of about six characters (one of which is a Royal Bengal Tiger), almost no dialogue, and just three different sets with 75% of the screen time taking place in the middle of the Pacific Ocean? Didn't sound too easy to pull off. But Oscar-winning Director Ang Lee proved me so wrong. I spent the entire length of the movie honestly believing that whatever I was seeing on screen had somehow been magically filmed under real life circumstances. Never have I seen 3D so brilliant, CGI renderings of animals so real. The film's use of 3D is undeniably indisputably irrefutably unmatchable, even by Avatar. Yet the graphics didn't overpower or were the main focus of the movie, unlike the former, rather it complemented and made it more real. Ang Lee's directing was brilliant and debutant Suraj Sharma, who had most of the screen time for himself and Irfan Khan (adult Pi) were more than perfect for their roles. The only mentionable flaws are the movie's excessive attention to trivial things with too little attention on important details, the unnecessary changes in plot when compared to the book, and few minor plot holes. But all in all, I think it was worth tolerating the horrible blinding cam print (which turned out to have been recorded by a Bengali speaking individual who spoke continuously the entire time). - Suraj Sharma, the lead actor, never intended to audition for the role of Pi but was just accompanying his brother to the casting call when he was selected from among the3000 other people that auditioned. - Tobey Maguire was originally cast for playing the writer and had already filmed all his scenes when Ang Lee replaced him with Rafe Spall because he was thought to be too famous for such a small role and would be distracting. The journey of Anberlin started in 2002 in Florida. Since then the band has released five studio albums and their sixth will be released this fall: 'Vital'. Originally the members of Anberlin formed a band named SaGoh 24/7 in 1998 and released two studio albums before disbanding due to the members' change in music taste and renamed themselves. Within a year of being formed, Anberlin released their first debut album 'Blueprints for the Black Market' under the semi-independent record label Tooth and Nail Records. Under the same label they released their second album in 2005 - 'Never Take Friendship Personal' - which sold 150,000 copies in excess. 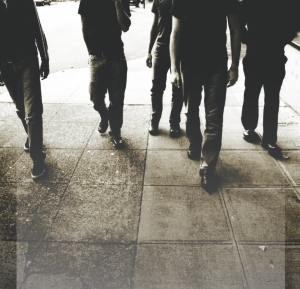 The band’s climb to eminence continued with their third album 'Cities' released in 2007. By then the band had established a fan base and were performing around 200 live shows per year. The album 'Cities' was the first one to reach the Top 20 in the Billboard 200 and 34,000 copies were sold within its debut week. Later that year in August, the band signed with major label Universal Records. 'New Surrender' was the band's first album under this label released in 2008. The album confirmed the thirteenth position on the Billboard 200 chart, and their single, 'Feel Good Drag' topped the Alternative Songs chart and it remained on the peak for 29weeks. Their fifth studio album, 'Dark is the way, Light is a Place,' sold 700000 albums prior its release. 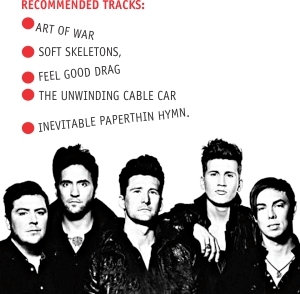 Anberlin offers its listeners soulful lyrics, moving music and overall a good composition. While some of its songs can be a bit too aggressive, Anberlin does have a range of soft to not-so-aggressive rock songs for you to enjoy.